Can't go to San Diego for all the geek wonder? Check this out. Glass. Image credit Universal Pictures. Hello and welcome to BlackSci-Fi.com’s coverage of the San Diego Comic Convention 2018. Just as E3 presented all the biggest announcements and projections for the videogame industry earlier this year, SDCC 2018 functions with a broader media stream of movies, television, novels, videogames, and the titular comics. There is a lot to cover here, so let’s get right to it and cover some of the major items to come out of Day 2. Another gem will be added to the DC Universe streaming service. Young Justice, the acclaimed cartoon that follows the younger heroes’ stories of DC , will be returning for season 3. It will have more heroes (Static! ), more villains (Darkseid! ), and more teenage angst (cooties!). Remember, you can preorder access to DC Universe for a yearly fee of $74.99 or monthly fee of $7.99. Did we mention the awesome Star Trek: Discovery Season 2 trailer? Farewell Rick Grimes…Wait, Walking Dead has had 9 Seasons? Carl! The rumors have been all but confirmed that this will be Rick Grimes last season on The Walking Dead. The battle with the Saviors is over, and Rick and his remaining group members must rebuild the multiple communities. Negan ruled with an iron fist, but will an open palm do any better in a lawless world full of zombies? The world will find out on October 7th on AMC. Is it fair to say M. Night Shyamalan is back? Glass is the long awaited sequel to Unbreakable and merges James McAvoy’s amazing portrayal in Split to create a mashup that asks the viewer two fundamental questions, can human beings have extraordinary abilities, and does that question really matter if they believe that they have extraordinary abilities? This thriller will come to theaters in January of 2019. Batman? Three Jokers. Image credit DC Comics. 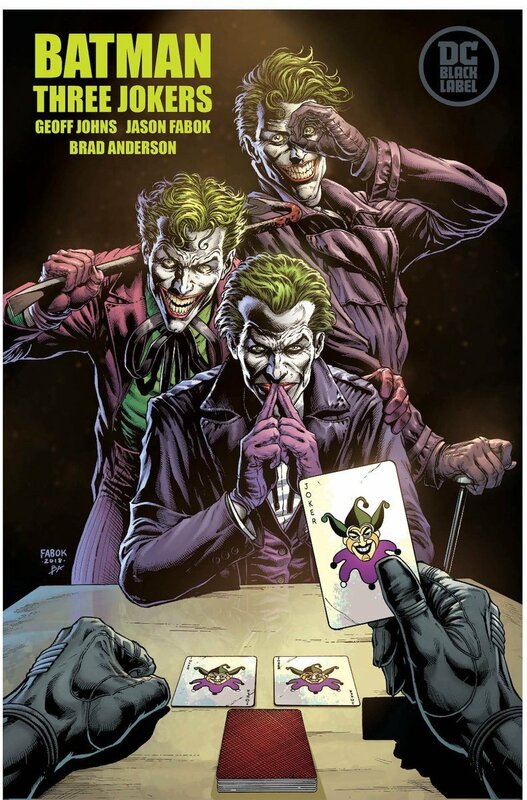 Geoff Johns, notable writer of DC Comics fame, spoke at a panel discussing his newest project Batman: Three Jokers. It will be a miniseries that focuses on the idea that there are three different individuals that have donned the villainous persona. He also announced that he will be working on a new Shazam! Series coming in November. 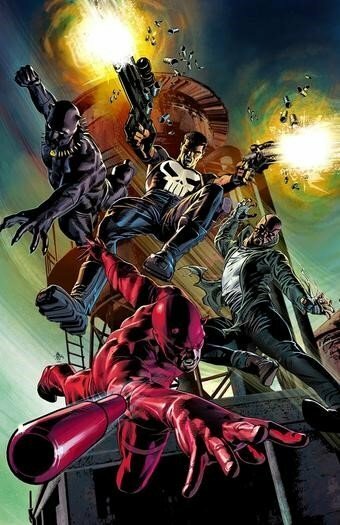 Marvel Knights. Image credit Marvel Comics. Marvel Knights will make its heralded return to comics this fall. The Marvel Knights line of comics was a 1998 “relaunch” which took a group of lower profile characters at the time of its launch and relaunched them out to comic book fans in new critically acclaimed and creatively awesome series’. Some of these titles included Black Panther, Captain America, The Punisher, and Daredevil. The new series’ launch will be “showrun” by acclaimed writer Donny Cates, and feature stories written by Tini Howard, Matthew Rosenberg, and Vita Ayala. Check out an interview we featured with Ayala for her creator-owned work The Wilds here. Sigh…this will be the end of Voltron: Legendary Defender. It was announced that season 7 will be the last for the Paladins of Voltron. Venture Bros. has already been announced as returning this year, but Adult Swim went ahead and released a new trailer for the show. It will be released on August 5th. I really wanted to lead this entire article with the new Venom footage that was shown today at SDCC, but sadly, it was not released to the public. But this is the internet age, and I’m sure it will leak eventually.